Halloween horrors aren’t just reserved for haunted houses. 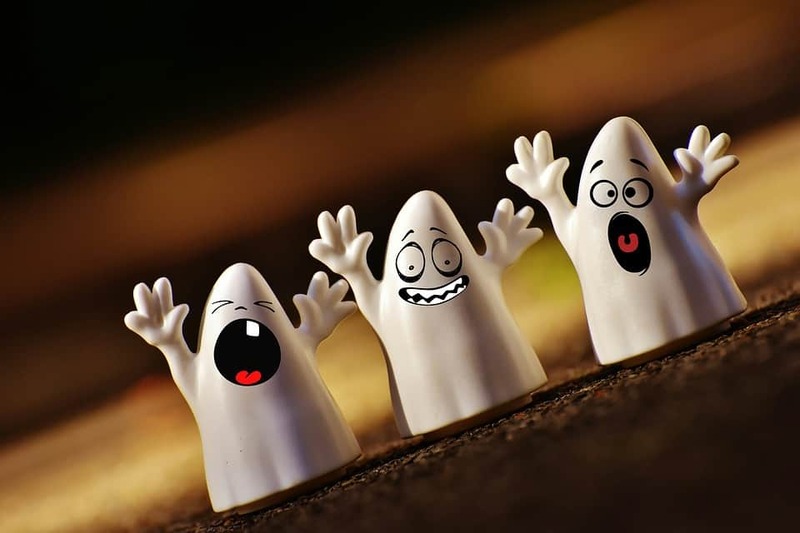 From finding the perfect costume for your little one to convincing the kids that the candy fairy really does exist, Halloween can be a frightful time of year for any parent! We partnered with Church & Dwight to bring you three tips that will turn tricks into treats! Let’s check them out! 3. Use technology to prevent nightmares! What are some of your favourite Halloween tips, tricks or treats? Share them with us! Forget the overpriced costumes and consider finding a second-hand costume or creating your own from scratch using pieces from thrift shops or stuff you may have stored away. It’s an inexpensive and fun way for you and your child to create a costume together. Just don’t forget to wash them before you wear them. Whether it’s second-hand pieces or just old clothes, you want to have them looking and smelling like new. 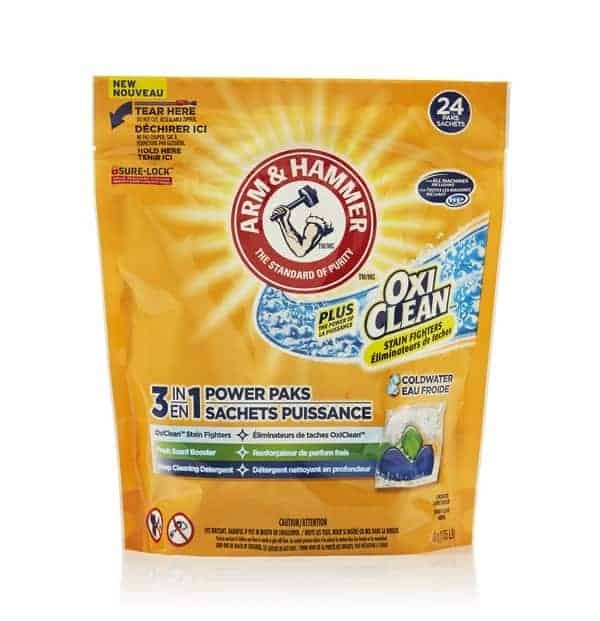 I suggest using Arm & Hammer Plus OxiClean Power Paks in Fresh Scent. The freshening and deodorizing properties of Arm & Hammer detergent, combined with the stain-fighting power of OxiClean, will bring your used clothes back from the dead (pun intended!). 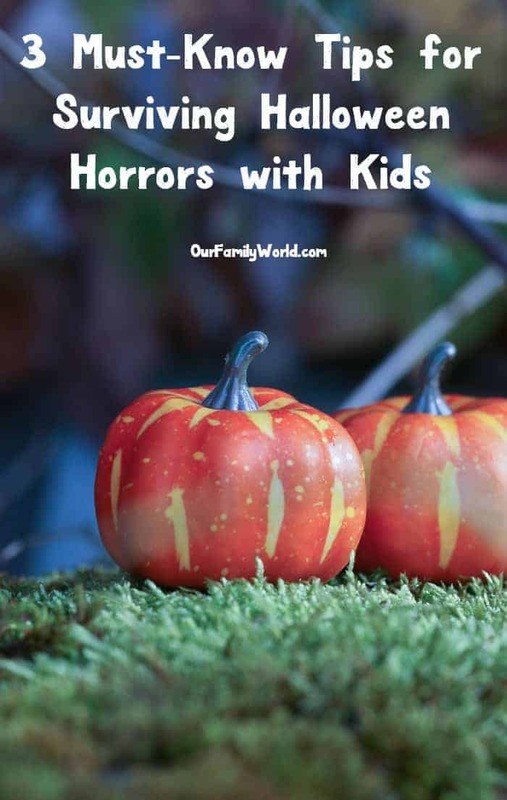 Pro tip: If you’re looking for costume inspiration, Pinterest is a great resource with plenty of spook-tacular ideas to get you and your family in the spirit, ranging from easy to elaborate. If you haven’t introduced your kids to the candy fairy, please Google her immediately. She’s a magical creature who has been rescuing parents around the world from the nightmare of candy overload. I’m serious. Kids love the candy fairy – she takes their candy and turns it into a toy. Brilliant, right? Since the candy fairy comes on November 1, it still gives your kids time to enjoy some of their sugary treats. On one condition – they must brush their teeth! Speaking of sugary treats, now’s a good time to remind you that according to the Canadian Dental Association, children should be thoroughly brushing their teeth twice a day for two to three minutes each time, once in the morning and before bedtime to get rid of any germs and sugars that cause cavities. As you can imagine, this is especially important after eating so many sugary treats. 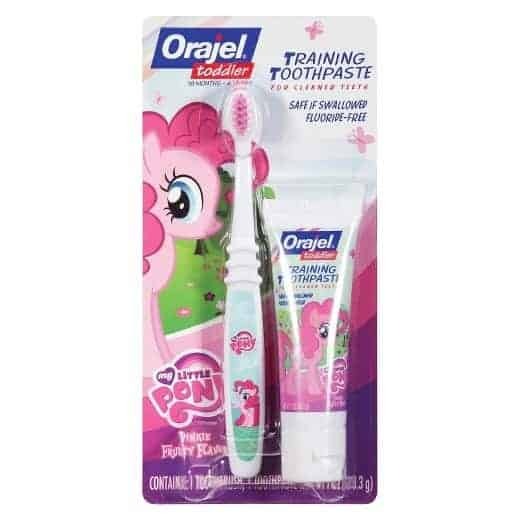 Pro tip: Get your kids excited about their oral care routine by coordinating their brush and toothpaste with some of their favourite cartoon characters like Orajel PAW Patrol or My Little Pony Anticavity Fluoride Toothpaste and Manual Toothbrush. Try sneaking in one of these special toothbrushes while you’re handing out candy – it’s a fun treat for kids and parents will thank you! What do you do when your child is terrified of spooky decorations yet still wants to go trick or treating? Get tech savvy, of course! If you can, trick or treat with a partner. Have them go ahead of you and “map” out a safe course. They can text you houses to avoid, tell you when to switch sides of the streets to keep away from a particularly scary scene, and even let you know when a street has gone dark because of a candy shortage! If you don’t have someone to be your guide, you can also go out the night before and map out your own course. Keep in mind that some people don’t finish their spooky scenes until Halloween day, though. Pro tip: Get a bunch of parents in on a group text message and group source your trick or treating route! *This post is sponsored by Church & Dwight. All opinions are our own. We always tried to make Halloween less scary for our kids. These are great tips. Oh, this is so helpful. I am somehow worried with trick or treating events. I would love to share this to my mommy friends. These are some great tips. Trick-or-treating with kids can be chaotic. I love to make sure they have some type of flashing light on them so I can keep track of them and to avoid being hit by cars. We always had neighborhood get-togethers to avoid all of that, especially the scary stuff. If we received too much candy we always left if outside on the porch for the Great Pumpkin to pick up. Great tips, especially thrifting costumes. You can save SO much money this way especially if you have more than one kid. Omg I LOVE putting costumes together by thrifting. I find it so much fun and much so much more fulfilling than just buying a new expensive costume. And more original too! These are really great ideas. It is too bad we have to avoid houses these days. We are going with older costumes this year as well! Kids don’t have to have a brand new one every year!! I haven’t trick or treated in years so I am loving all of this advice! Thanks for the great tips! Wow, I never thought of scouting the street for houses to avoid. What a great idea for smaller kids. One of my favorite tips for Halloween is letting the kids help pass out candy after they’ve finished trick or treating. I usually let them go out for an hour or so and then it’s back to the house so they can help me greet our trick or treaters. Interesting tips all. The Candy Fairy sounds really interesting and something the lids are going to love. I love the idea of taking the candy and turning it into a toy! Maybe the Candy Fairy needs to visit my house. Such a cute idea! These are some great ideas! The Candy Fairy is usually me in the house, I won’t lie. I take some of my kid’s candy and eat it 😉 But candy never lasts long in this house! Haven’t heard of the candy fairy and it sounds like a fun idea. Anything to make brushing fun and gets rid of the leftover candy.